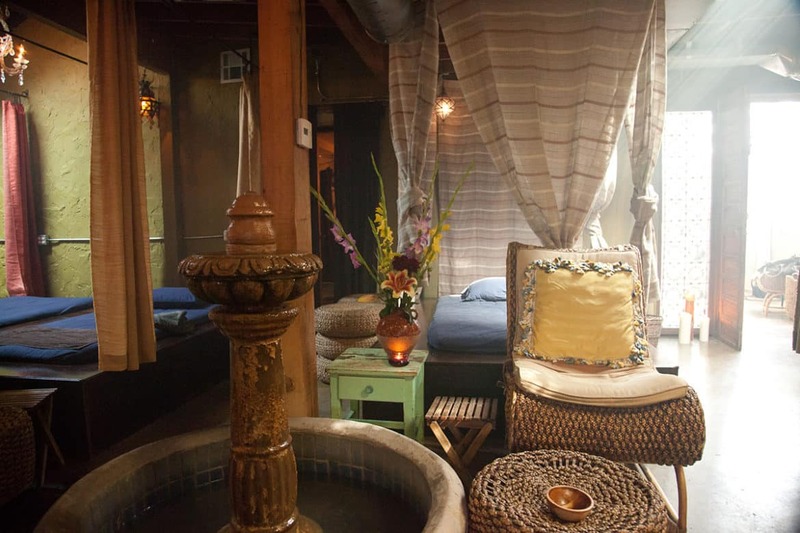 If you can’t escape to a tropical island, escape to Los Angeles spa The Raven! Bora Bora is a small South Pacific island northwest of Tahiti in French Polynesia. Surrounded by sand-fringed motus (islets) and a turquoise lagoon protected by a coral reef, Bora Bora is a popular destination for scuba divers and romantics! The natural beauty and peaceful ambiance are part of the reason that we at The Raven Spa in Los Angeles love the place! According to Google’s travel guide, French Polynesia a collection of more than 100 islands sprinkled over approximately 1,250 miles of the South Pacific. Tahiti is the largest of these islands and is home to the capital city of Papeete. “With black-sand beaches, lagoons, waterfalls and 2 extinct volcanoes, it’s a popular vacation destination,” the travel guide reports. British explorer Captain James Cook, a, navigator, cartographer and captain in the Royal Navy, introduced the world to Tahiti in the 18th century. French post-Impressionist artist Paul Gauguin painted there in the 1890s. Les Roulottes, international food carts on Vai’ete Square. The Museum of Tahiti and Her Islands, which looks at French Polynesian culture, plus natural phenomena like the Arahoho Blowhole and its massive sprays. Water sports include fishing, outrigger canoeing and snorkeling. Our favorite island in French Polynesia is Bora Bora, which is located to the northwest of Tahiti. If you love coral-fringed lagoons and bungalows poised above crystalline waters as much as we do, you will fall in love with this place! Are you starting to see why we love Bora Bora so much? If a dream vacation isn’t in your immediate future, we invite you to escape from the hustle and bustle for a few blissful hours with a visit to The Raven Day Spa in Los Angeles. Treat yourself to one of our amazing massages in Santa Monica at our location on Pier Avenue, indulge in a Radiant Raven Facial or join us for yoga at our Silverlake location. We’ve earned a reputation as one of the most innovate spas in Los Angeles. You may not be able to travel to distant islands, but we’ll make you feel like you’re a world away.